Whether you’re looking to boost curb appeal, add security, increase noise control, enhance energy efficiency, reduce maintenance, or grow your property’s value, there is a wealth of replacement window options available to meet your needs. However, it’s important to choose a reliable and competent contractor to ensure you receive a professional installation for making your property look its best for years to come. Below we have compiled a list of ten reputable window installers and contractors in Fort Bend County, Texas to aid in your search. For over 25 years, Allied Siding and Windows has served as the largest Simonton window installer in Texas with industry-leading products and labor warranties. Not only has Allied won the Award for Excellence by the BBB, but it also won the Small Business of the Year Award for 2010 from the Lone Star College System. As a member of the Greater Houston Builders Association (GHBA), Cambridge Doors & Windows is a full-service window specialist committed to providing energy efficient products for reducing the rising cost of comfort. Cambridge offers professional, airtight installation within a 100 miles radius of downtown Houston. Boasting an A+ rating from the BBB, Dr. Energy Saver Home Services is a trusted resource for various home energy-saving solutions, including insulation, air sealing, replacement windows, doors, and radiant barrier installation. With 20 years of experience in the building industry, Dr. Energy Saver offers a 100% customer satisfaction guarantee for energy savings. As one of the top window and door suppliers of Houston’s most respected custom builders, Exclusive Windows, Inc. has over 50 years of experience in replacing old windows and virtually eliminating solar heat gain for lower utility bills. Backed by the BBB Reliability Program, Exclusive Windows has excellent 100% financing options and free estimates available. With over 35 years in the window industry, Gulf Coast Windows has proudly received the BBB Award for Excellence as well as the prestigious Pinnacle Award. Gulf Coast Windows installs and replaces composite windows with reliable customer service across the greater city of Houston to boost energy efficiency. 6. Home Exterior Systems, LLC. Proudly serving the Houston area since 2003, Home Exterior Systems, LLC has received the Service Magic seal of approval for delivering high-quality replacement windows, doors, Hardie Plank siding, roofing, decking, and gutters. In addition to being granted the Award for Excellence from the BBB as a winner of distinction, Home Exterior Systems won the 2013 Super Service Award from Angie’s List. With one of just four AAMA Certified Master Installers in the Greater Houston area, Houston Window Experts is locally owned by a father and son team boasting over 12 years of experience in home improvement. 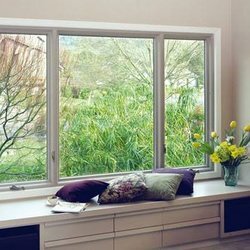 Houston Window Experts offers top-quality replacement window brands from America’s most popular manufacturers at affordable prices. Recently recognized by the New York Times for its energy efficient windows, Super Window Company has won the BBB Award for Excellence for five consecutive years. With all windows manufactured out of Fort Worth, Superior Window Company guarantees that all products will withstand Texas heat and Gulf Coast hurricanes. 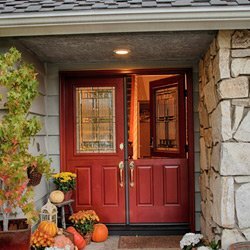 As a BBB-accredited business, Value Windows & Doors has the mission of providing first-class window products at reasonable prices with the shortest lead times and best customer services. All double-pane vinyl windows purchased through Value Windows & Doors are backed by a lifetime warranty and an energy efficiency guarantee. Value Windows & Doors is a premier manufacturer of custom-fit vinyl replacement windows in accordance with NFRC and AAMA guidelines for energy efficiency. Featuring an A+ rating through the BBB, Wonderful Windows & Siding is locally owned in Houston by a married team to provide Texans with high-quality window options at affordable prices. Wonderful Windows & Siding offers customers the chance to work directly with the owner to choose insulated windows that save energy, block out heat, and add security. Situated within the Houston metropolitan area, Fort Bend County encompasses a total of 875 square miles in southeastern Texas. First founded in 1837, Fort Bend County is named for a blockhouse at the bend of the broad alluvial valley along the Brazos River. Renowned for being one of the fastest-growing counties in Texas, Fort Bend is home to more than 636,000 residents as well as thriving Fortune 500 companies and major corporations. Often cited as the state’s wealthiest county, Fort Bend boasts a high median household income of $84,305. Most residents live within the county’s major cities of Arcola, Fulshear, Katy, Meadows Place, Missouri City, Pearland, Richmond, Stafford, Sugar Land, and parts of Houston. Along with the hot summer and mild winter weather, residents enjoy visiting the historic Fort Bend County Courthouse, Lamar-Calder House, Brazos Bend State Park, George Observatory, and Rosenberg Railroad Museum.